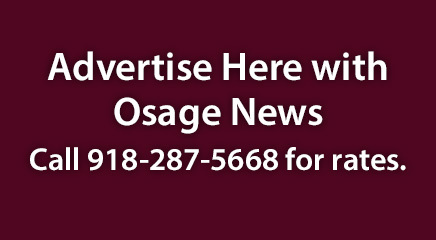 On June 6, voters will vote for six Osages to sit on the Fifth Osage Nation Congress. The Congress is responsible for overseeing the Nation’s money, laws affecting the Nation and its citizens, a general knowledge of federal law affecting tribes, and traditionally, Osage congress members serve as ambassadors on an international, national and cultural scale. Nine candidates are looking to unseat one of the six incumbents currently in office. Those candidates are Michael Bristow, Danette Daniels, Fidelis Davis, Hank Hainzinger, Rebekah HorseChief, Jacque Jones, Brandy Lemon, Myron Red Eagle and Joe Tillman. Hainzinger ran for Congress in 2012 and finished 20th. Daniels ran for Congress in 2010 and finished 10th. Jones ran in 2012 and finished 29th; she ran again in 2014 and finished 15th. Bristow, 50, currently works at Encompass Home Health as a licensed Speech Pathologist in Tulsa, Okla., and surrounding areas. He began his career working with children and now works with geriatric patients in a home health setting. According to his resume, he earned his bachelor’s and master’s degrees from Northeastern State University in Tahlequah, Okla. He is a member of the American Speech-Language-Hearing Association, and the Oklahoma Board of Examiners for Speech-Language Pathology & Audiology. Daniels, 53, is the co-owner of the Cedar Chest Shop in Pawhuska, a store that sells Osage traditional dress and other Native American items. She is a former licensed Marriage and Family Therapist, a Child Development Specialist, and a Technical Supervisor for the SoonerStart/Oklahoma Early Intervention program. She earned her master’s degree in Family Relations and Child Development from OSU. She’s also a former Osage language instructor. Davis, 62, is the current director for the Nation’s Food Distribution program. He currently serves on the Board of Education for Hominy Public Schools and the board of directors for Golden Eagle Federal Credit Union. He received his associate’s degree in Applied Science in Business from Haskell Indian Jr. College. He also attended Northwestern Oklahoma State University and OSU. According to his resume, he has worked as a Contract Health Physics Technician, an accounting clerk and an oilfield operator. Hainzinger, 50, currently owns and operates his own ranching business in the Ponca City area. He has a Bachelor of Science degree in Ag Business from Northwestern University in Alva, Okla. He currently sits on the boards for the Farm Bureau Insurance-Osage County, Osage County Livestock Show/Sale and 101 Rodeo in Ponca City. He is involved with the Cattlemen’s Association, Oklahoma Farm Bureau, and is a Gold Card member of the Professional Rodeo Cowboys Association. HorseChief, 38, is a master’s student studying Federal Indian & Energy Law at the University of Tulsa, College of Law. She earned her bachelor’s degree in University Studies from the University of New Mexico, with an emphasis in Native American Studies and English and Post-Colonial Literature. According to her resume, she is the former Education Division Director for the Pawnee Nation; Office Manager and Website Content Manager for the Nation’s Education Department; an Osage Language Instructor, and held numerous internships. Jones, 41, is the director for the Nation’s Constituent Services. She has attended Rogers State University and studied Business Administration and Management, according to her LinkedIn profile. She has also worked as an administrative assistant for the Office of the Principal Chief and was a Breastfeeding Program Coordinator for the Nation’s W.I.C. program. She has been involved and volunteered with numerous national Native American organizations. Lemon, 41, is the Director of Nursing for Fairfax Medical Facilities, Inc., in Fairfax, Okla. According to her resume, she has also worked as the Charge Nurse for Fairfax Memorial Hospital, and a Registered Nurse for Via Christi Medical Center, in Ponca City. She received her Associate of Science in Registered Nursing from Northern Oklahoma College in Tonkawa, Okla. She was awarded the Gates Millennium Scholarship and graduated with honors. Red Eagle, 66, earned his Bachelor of Science degree from Oklahoma Wesleyan University. He also attended Central Oklahoma University, Northern Oklahoma College and Oklahoma State University. According to his resume, he has worked at Public Service Company of Oklahoma as a meter reader and electrical power dispatcher; worked at Whirlpool Corporation of Tulsa for eight years and retired as an Administrative Quality Manager. He served four years on the Second Osage Minerals Council. Tillman, 56, is currently the director of Big T Sports and Athletics in Pawhuska. According to his resume, he earned his Bachelor of Arts in Communication from OSU and his master’s degree in Communications from OSU. He is a former Division Leader for the Nation; President for Wide Line Financial, LLC, an investment services and consulting company for Native Americans and a former marketing director for Core Business and Financial Services in Tulsa and Oklahoma City.